If you have ever asked a friend of work colleague for tips on how to build muscle you’ll probably have been met with a massive spectrum of different answers, a lot of which contradict what others have already told you. Today we’ll run through the proven, simple rules of building a more powerful physique. There is so much nonsense out there in the fitness industry, information which has no scientific backing or evidence to support it’s claims, that the majority of people in gyms around the world are completely lost. Muscular hypertrophy is not a complicated thing, despite the raft of trainers who seem hell bent on confusing clients to the point where they don’t know why they’re training at all. A lot of this is done in order for the trainer to attempt to justify why the fitness enthusiast ‘needs’ them there, when in fact you can apply the proven rules to strength and power training on your own and see results. The importance of diet is just one of the five rules touched upon in the video guide on how to build muscle accompanying today’s article. One of the first things you need to look at is a varied workout regime. If you keep doing the same thing in the gym you’ll notice that early gains are offset by a stale routine which doesn’t continue to yield results. One way to ensure you keep changing your routine is to adopt a holistic training approach. This means instead of staying on the same workout plan for months on end, you’ll be switching styles every single week. That’s right, one week you could find yourself going for high reps and lots of sets, followed by another week where you focus on full body workouts requiring lower rep ranges. 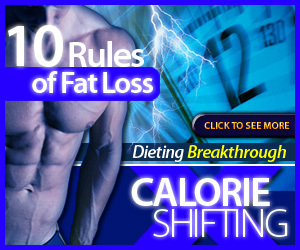 This approach will stop you from hitting a plateau and will help fat loss and hypertrophy to continue at a fast rate. One of the most common mistakes fitness enthusiasts make is over training. If you see some positive results it can become easy to get addicted to going to the gym. The thing is, however, when it comes to fitness ‘more’ does not necessarily mean ‘better’. Your body needs time to recover from each workout and if you’re back in the gym the following evening you won’t be able to see any results. Try to keep it under five sessions per week. The world of supplements is third on the list because although a lot of people do get lost here, it is perhaps purposely designed to have that effect. Supplement manufacturers make a lot of cash from the confusion. However, like most things on this list, it’s nowhere near as confusing once you know what to look for. If you’re after a weight gainer you need a shake which hits you with a lot of carbohydrates and calories per serving. If you’re just after a leaner physique you will want to keep the carbohydrate content down quite low. Science also shows that there’s no need to consume more than 30 grams of protein in one sitting, too. The battle to build a better physique is usually won and lost outside of the gym, however. Most people are happy to exercise and drink protein shakes but they switch off when they get back home or go out with their friends at the weekend. Make no mistake about it, you’ll need to get your diet in check. If you are unsure how many calories you need to be eating per day you can start by taking your goal weight and multiplying the figure by 15. This will give you a good estimate to work with. If you apply the four rules in today’s post over the next three to four months you will notice how much easier it becomes to achieve the physique you desire. Learning how to build muscle is an often over complicated affair, but the truth is the main principles are very easy indeed. Holistic training is a great way to keep your workout program fresh, whereas time tested principles such as resting appropriately and learning the basics of whey protein supplements will go a long way to helping you reach your overall goal. Writer: Great Britain’s most watched personal trainer, Russ Howe PTI teaches thousands of people how to build muscle in the gym each week. Learn about holistic training with his free video today.